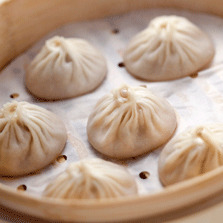 Stemmed from Shanghai's most original home cooked recipes, Modern Shanghai offers the authenticity of local Shanghai cuisine in a casual home-like manner, reviving all the simple but hearty meals that connect you with traditions and memories. Our mission is to provide "quality and innovative" cuisine of Beijing, Sichuan and Shanghai to our valued customers. One always finds the best tastes from home cooking, where it embodies not only flavor but memories and intimacy within the family, especially tru in Chinese cuisine. Stemming from Shanghai's most original home cooked recipes, Modern Shanghai offers the authenticity of local Shanghai cuisine in a casual and home-like manner, reviving simple but hearty meals.